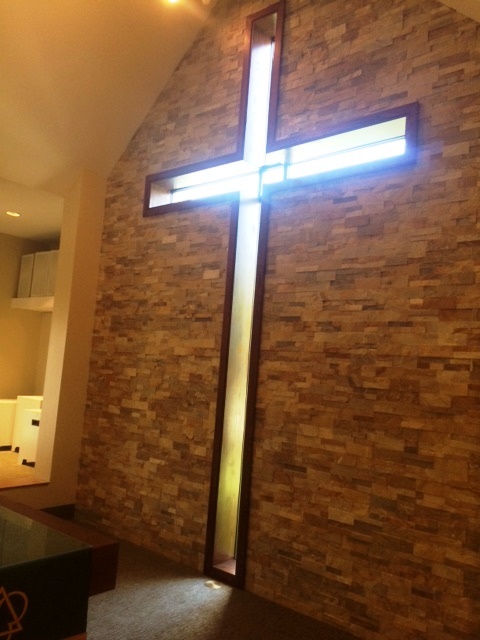 Sanctuary renovations begin June 13, with an anticipated completion date of July 10. 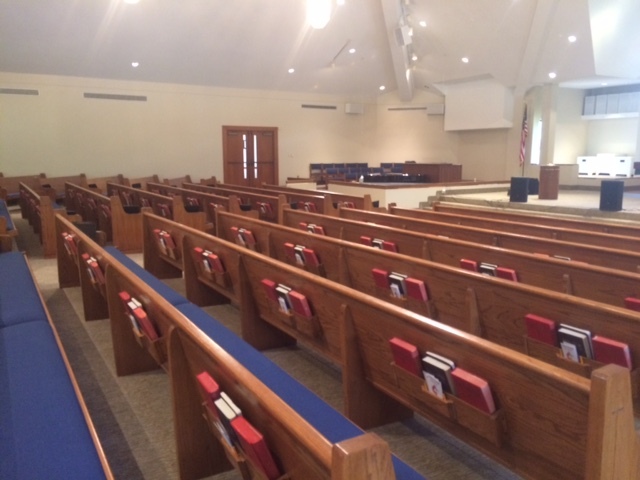 During that time the sanctuary will NOT be available for use by any groups during the week. 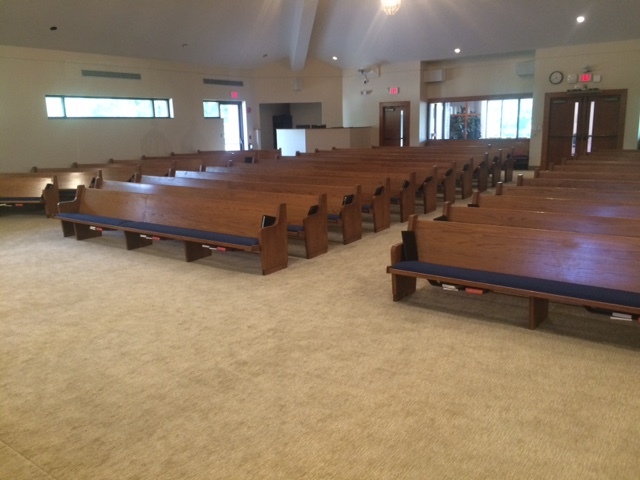 The sanctuary will be usable (but perhaps not spotless) on Sunday mornings. Note: This is also the time period of the rummage sale and several mission teams coming and going. As such, the church building will be in a bit of disarray. Please be patient with us as we fix up God’s house and do God’s work in our world. June 13-17: Prepare and paint ceiling; install stone. Frame & hang drywall at projector screens. Install sound booth knee wall. Electrical work. June 20-24: Sound booth demolition and reconstruction. Pew cushions and pew carpentry. 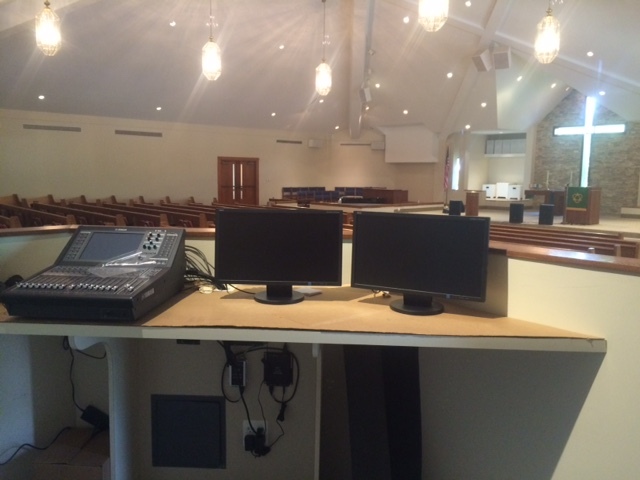 June 27-July 1: Continue sound booth, etc. 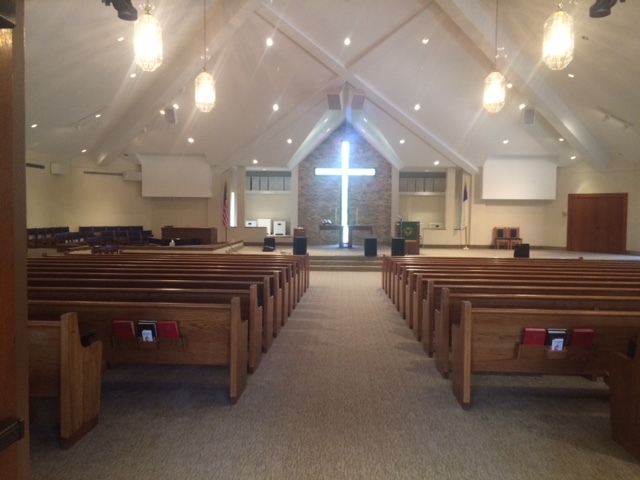 July 4-8: Install new AV system and lighting upgrades.